The election has really affected me. I can only entertain one outcome. The alternative is too ugly and painful to contemplate. We continue to be persecuted in our own home as our NYC building Board suffers from the same vindictiveness as Trump. If the unthinkable happens with the presidential election, it will not be as painful as I would have thought to sell our place. My husband has been on the left coast. He returned on Wednesday and I decided to treat myself to a trip to Broadway. I scooted down to the theater district on an 85 degree afternoon. The TKTS Board did not offer much beyond Les Liasions Dangereuses which isn’t one of my favorites, but it stars Liev Schreiber and Janet McTeer, two outstanding stage actors. The other was Falsettos which I had previously seen. That left The Roundabout Theater Company’s, Holiday Inn. 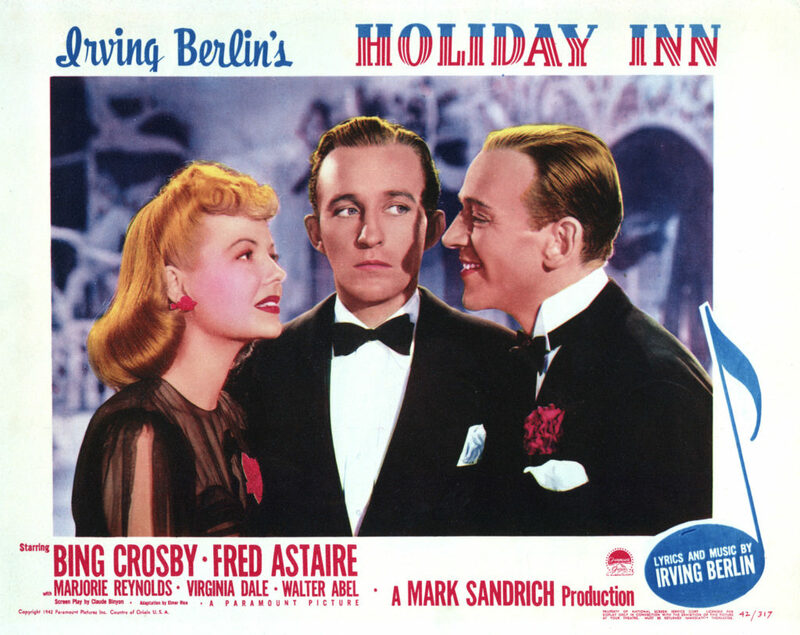 The 1942 movie is one I had watched numerous times with my grandparents in my youth because my granddad loved Bing Crosby and Fred Astaire and it took place in our home state of Connecticut. The New Irving Berlin’s, Holiday Inn, lie in wait. My seat at Studio 54 was fabulous, the music was stellar and performances first rate. 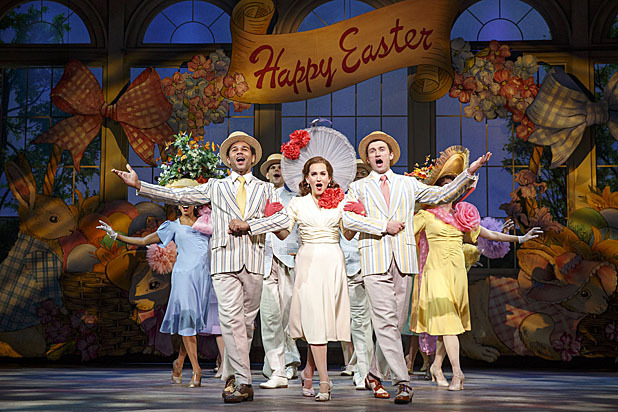 Holiday Inn possesses a joyful spirit, dynamic dancing and a top notch orchestra. The show included such Irving Berlin classics as White Christmas, Steppin’ Out With My Baby, Cheek To Cheek, Easter Parade, Shaking the Blues Away, Heat Wave, Blue Skies and It’s a Lovely Day Today. The cast is comprised of Broadway standout Bryce Pinkham, Corbin Bleu of High School Musical fame and an impressive, feisty Megan Lawrence. It was mindless entertainment and the best medicine for a challenged constitution. I left with an elevated mood and in a feel good state of mind. Holiday Inn Studio 54 254 W. 54th Street New York City, New York. Running Time 2 hours and 15 minutes. Closes January 15th, 2017.